Payment Service Providers with a well-defined thought leadership strategy see better marketing ROI and win more business than those without. 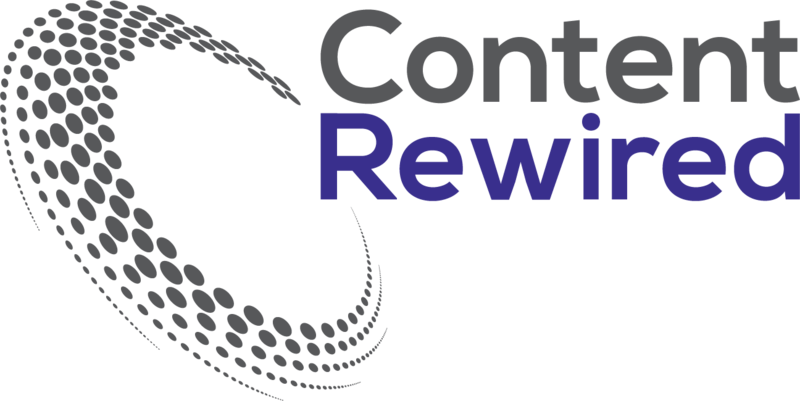 Research by Edelman Digital and LinkedIn shows more than one-third of C-suite execs and decisionmakers (39%) reported that thought leadership content was influential in their decision to ask a vendor to participate in the RFP process. Almost half (47%) said that type of content had a direct impact on how they awarded business. If you’re not producing high quality thought leadership, you’re not making the final cut on your targets’ vendor list. Payments thought leadership is a critical component of a winning marketing strategy for payments companies. However, without the right guidance, resources, and execution, most companies are spinning their wheels. 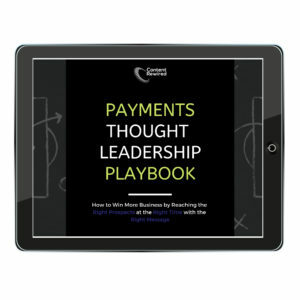 Creating compelling, effective payments thought leadership requires a strategy and a solid team. 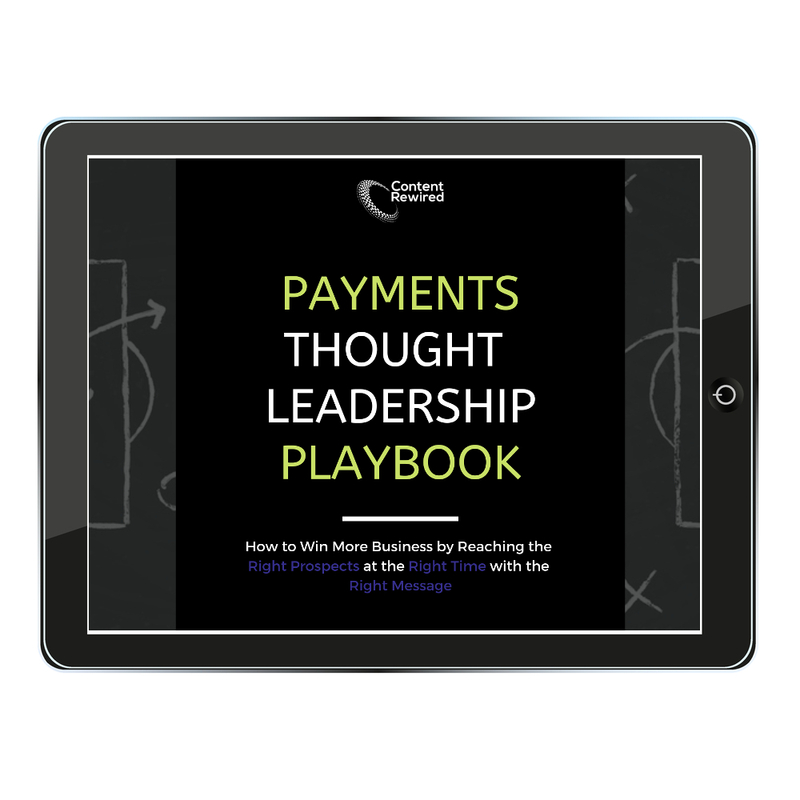 Download the FREE Payments Thought Leadership Playbook today.